How do you market a product that’s not even out yet to the audience that values creativity above all? The answer is pretty simple — you give them a chance to use the product creatively by themselves. Samsung released Note 8, a device that refines your experience and completely redefines what you can do with a phone, and is an offline and online integration in itself. So we decided to focus on it when crafting out the marketing strategy. In just a couple of weeks, the campaign generated more than a thousand sketches. 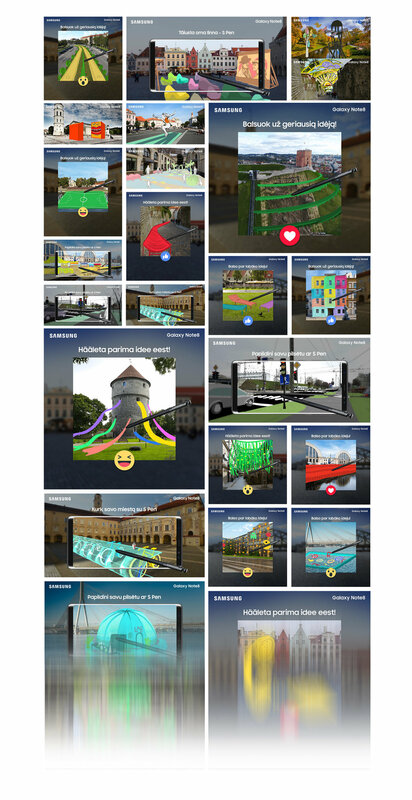 We then chose the best ones from each country and turned them into a virtual book on the Samsung landing page. Advertising on social media was very successful since it generated 84% of total clicks and 80% of the sessions on the landing page. The target group was reached and those interested in consumer electronics were inspired to do bigger things.